FIRST OF FOUR? : The first Copernican revolution moved the Earth out of the center of the solar system. The second recognized that there are many planets in our galaxy, and the third that there are many galaxies in the observable universe. Proving that our universe is one among many would represent a fourth Copernican revolution. A challenge for 21st-century physics is to answer two questions. First, are there many “big bangs” rather than just one? Second—and this is even more interesting—if there are many, are they all governed by the same physics? If we’re in a multiverse, it would imply a fourth and grandest Copernican revolution; we’ve had the Copernican revolution itself, then the realization that there are billions of planetary systems in our galaxy; then that there are billions of galaxies in our observable universe. But now that’s not all. The entire panorama that astronomers can observe could be a tiny part of the aftermath of “our” big bang, which is itself just one bang among a perhaps infinite ensemble. As we find our place, we might recall that it was on this date in 1884 that 41 delegates from 25 nations, meeting in Washington, DC for the International Meridian Conference, adopted Greenwich as the universal meridian. They also established that all longitude would be calculated both east and west from this meridian up to 180°. The modern worker rolls out of bed, groans, and turns off an alarm clock. But industrial-era British and Irish workers relied on a different method for rising each morning. In the 19th century and well into the 20th, a human alarm clock known as a “knocker-up” (knocker-upper) would trawl the streets and wake paying customers in time for work. 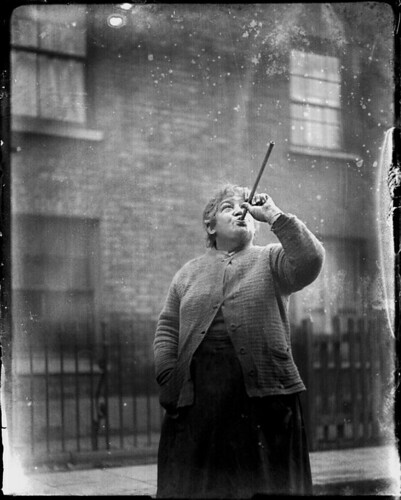 Armed with sticks—or, in the case of Mary Smith, a pea shooter—they tapped on windows or blasted them with dried peas. During the Industrial Age, people toiled at unusual hours in mines or factories. They could have used alarm clocks—adjustable versions had been invented by the mid-19th century. But they were still relatively expensive items, and unreliable ones, at that. As we sleep in, we might spare a thought for Regnier Gemma Frisius; he died on this date in 1555. 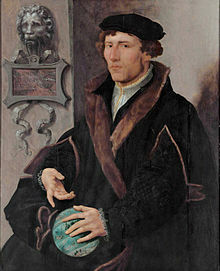 A physician, mathematician, cartographer, philosopher, and instrument maker, he created important globes, improved the mathematical instruments of his day, and applied mathematics in new ways to surveying and navigation. Indeed, he was the first to explain how measurement of longitude could be made from elapsed time measurements with a portable timepiece– a technique late perfected by John Harrison (as chronicled in Dava Sobel’s Longitude). As we seek solid ground, we might spare a thought for Rear Admiral Sir Francis Beaufort, KCB, FRS, FRGS, MRIA; he died on this date in 1857. 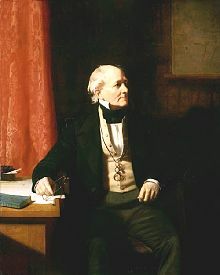 A career naval officer and hydrographer, Beaufort devised, in 1806, a simple scale that coastal observers could use to report the state of the sea to the Admiralty. Originally designed simply to describe wind effects on a fully rigged man-of-war sailing vessel, it was later extended to include descriptions of effects on land features as well. Officially adopted in 1838 (and in use to this day), it uses numbers 0 to 12 to designate calm, light air, light breeze, gentle breeze, moderate breeze, fresh breeze, strong breeze, moderate gale, fresh gale, strong gale, whole gale, storm, and hurricane. Zero (calm) is a wind velocity of less than 1 mph (0.6 kph) and 12 (hurricane) represents a velocity of over 75 mph (120kph). Julius Caesar famously divided Gaul into three parts. [What3Words founder Chris] Sheldrick and his team have gone a little further, dividing the earth’s surface — land, sea and ice caps included — into 57tn 3m-squares, each assigned a unique three-word identifier. What3Words’s entire address is just index.home.raft. 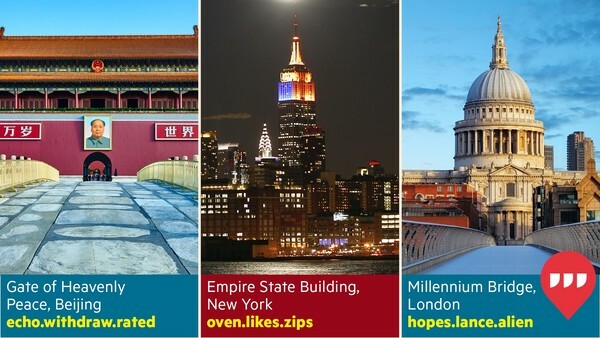 Furthermore, a free smartphone app can identify any What3Words location in the world, even if the phone is offline… according to What3Words, 75 per cent of the world’s population has no address; imagine the benefit to an African villager of having Amazon packages delivered as if he lived in a city with a formal postal address. Imagine the benefit to Amazon, too. 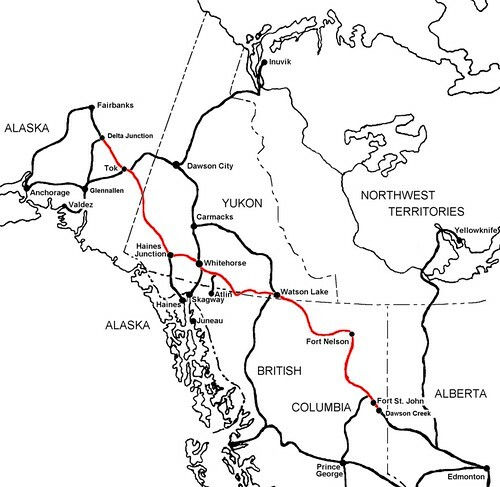 As we zero in, we might recall that it was on this date in 1942 that The Alaska Highway (AKA, the Alaska-Canadian Highway, or ALCAN Highway) opened. Spurred by the bombing of Pearl Harbor in Dec 1941, the highway, deemed a military necessity, was completed at mile 1202, Beaver Creek , when the 97th Engineers met the 18th Engineers. Originally approximately 1,700 miles long, it now runs 1,387 miles– the difference due to constant reconstruction of the highway, which has rerouted and straightened out numerous sections. Opened to the public in 1948, the road was legendary over many decades for being a rough, challenging drive; the highway is now paved over its entire length. In the 1920s, America began coast-to-coast Airmail service, but the pioneer pilots had trouble navigating the route, since navigation charts of the day were fugazi and you couldn’t exactly pull over to ask a farmer for directions. And traveling at night, when it would have been most efficient, or in bad weather was impossible. 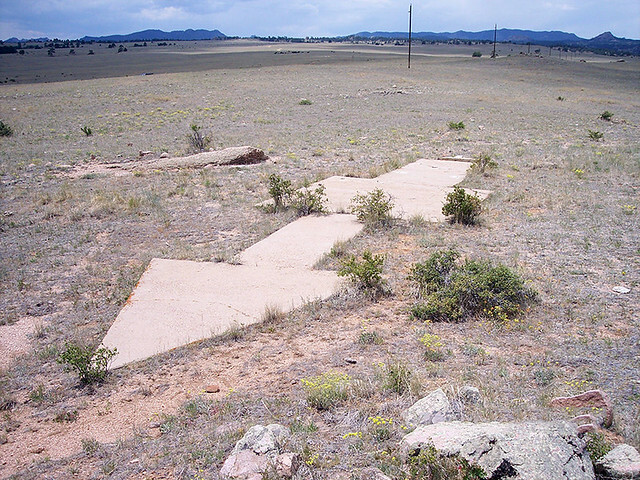 To solve this Congress then funded these gi-normous arrow-shaped Airmail Beacons, some up to 70 feet long, to trace a route across the country. 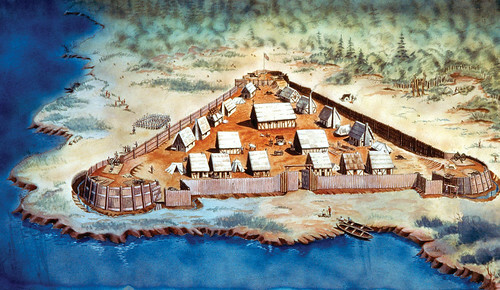 The arrows were painted bright yellow and each was accompanied by a tower up to 50 feet in height. 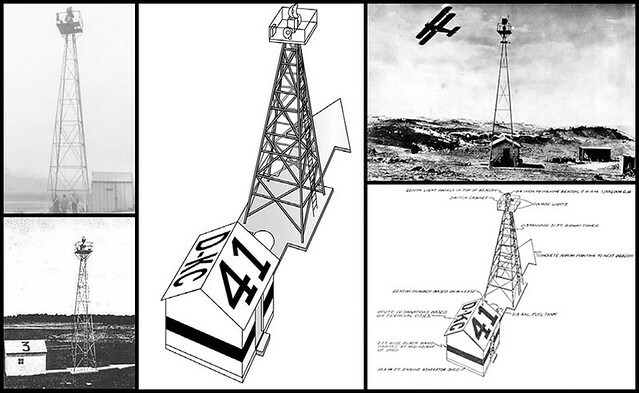 At the top of each tower was a powerful gas-powered light, and at the bottom of the tower, a shed to hold the gas. 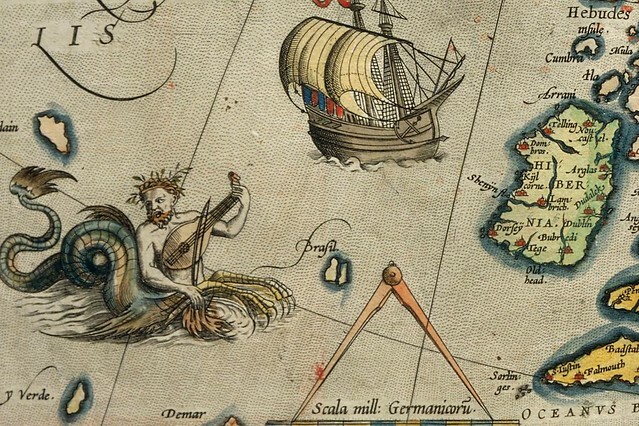 The easily-discernible design made the arrows visible from a distance of ten miles, and each arrow pointed the way towards the next, some three miles distant. That’s according to the Postal Museum; however, this blog claims the towers were 10 miles apart with a 40-mile visibility. It’s possible the former is describing the earlier towers and the latter is describing updated versions. What’s not in dispute is that the beacon towers are all gone, the steel having been broken up and recycled for America’s World War II effort. But the no-longer-used arrows remain, their paint long since worn off by the elements, the arrows themselves too difficult to make breaking them up worthwhile. And unless Omer Haciomeroglu sends his Concrete Recycling Robots into the American hinterlands, they’ll likely be there forever. From the always fascinating Core77. 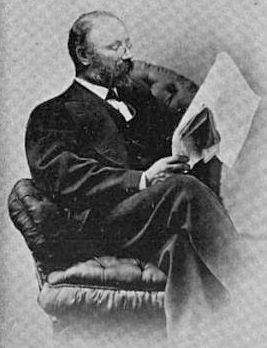 As we imagine Horace Greeley’s smile, we might recall that it was on this date in 1860 that James Wallace Black, a painter who had turned to photography (his daguerreotype of abolitionist John Brown hangs in the Smithsonian’s National Portrait Gallery), took the first aerial photography captured in the U.S.
Black went up with balloonist Samuel Archer King in King’s hot-air balloon, the Queen of the Air, shooting Boston at 1,200 feet (8 plates of glass negative; 10 1/16 x 7 15/16 in). 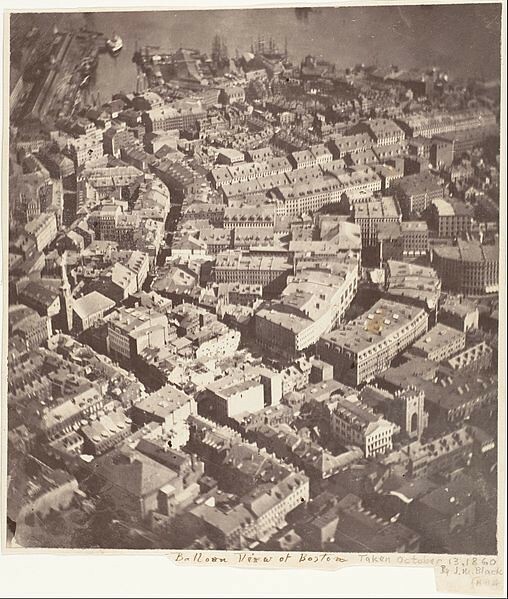 One good print resulted, which Black entitled “Boston, as the Eagle and the Wild Goose See It”– the first clear aerial image of a city anywhere.